Light up the highlight reel with the Riddell Phenom SK Adult Football Shoulder Pads – Skill Position. Designed while considering the needs of the varsity player, the Riddell Phenom pads produce the protection and durability you need to play with the poise and tenacity of a star. 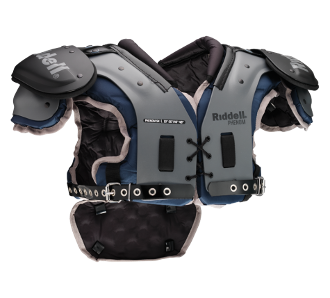 Recommended for quarterbacks, wide receivers, running backs, tight ends, and defensive backs because of the max range of motion and agility the Riddell Phenom Skill Position Shoulder Pads provide.